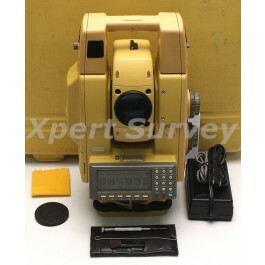 Total Stations From Leica, Sokkia, Spectra, Topcon, Nikon, Trimble & More! – RC-2R Remote Is Not Included! instrument or at the prism. the correct direction and vertical angle setting to locate the prism. inaccessible of difficult to reach points. Sokkia SET1X Reflectorless Total Station 1"
Sokkia SET2X Reflectorless Total Station 2"
Sokkia SET3X Reflectorless Total Station 3"
Sokkia SET5X Reflectorless Total Station 5"